Get it from NYU Press, Amazon, Barnes & Noble, Powell’s, Google Play, or an independent bookstore near you. Available in hardcover and paperback! “In Fighting Over the Founders, Schocket ­surveys contemporary Founders’ Chic from political battles high and low to historiography, historical museums, Hollywood productions, and historical recreations and re-enactments. Though he fails to attend to the fight for Paine’s memory, I really enjoyed this book. Schocket knows his history, did his homework, and spent time working as a “public historian” and talking to both visitors and re-enactors. The American Revolution gets evoked in political campaigns and car advertising campaigns, revised in books, repackaged in museums, recast on TV, referred to in courtrooms, and reenacted on weekends. 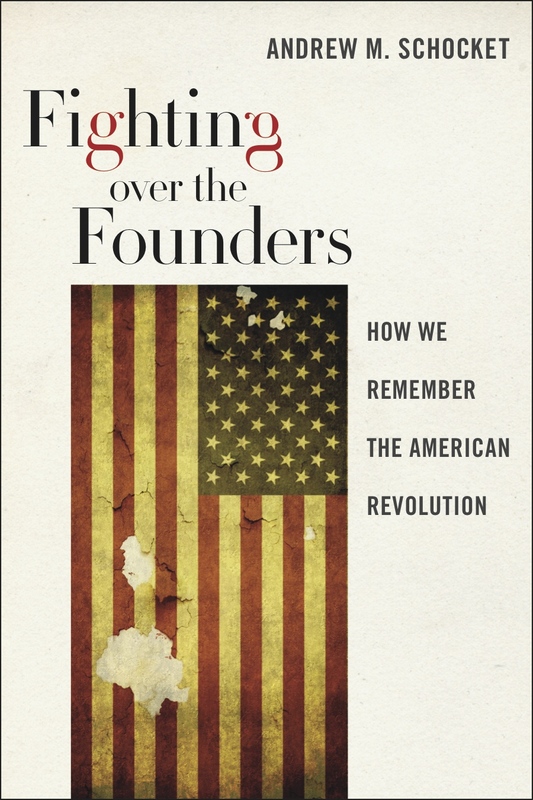 In a lively and personal style, Forever Founding shows how today’s memories of the American Revolution are a battleground for debating what the nation is about and who belongs to it. As the nation’s founding moment, the American Revolution has always served as a source of powerful myths, and remains the most accessible and most contested event in U.S. history: more than any other, it stands as a proxy for how Americans perceive the nation’s aspirations. Americans’ increased fascination with the Revolution over the past two decades represents more than interest in the past. It’s also a site to work out the present, and the future. What are we using the Revolution to debate? To untangle this problem, I explore through interviews, readings, and observations how and why politicians, screenwriters, activists, biographers, jurists, museum professionals, and reenactors portray the American Revolution the ways they do. Using an innovative framework of “essentialist” and “organicist” interpretations of the American Revolution, I demonstrate that recent representations of the American Revolution betray American’s conflicted ideas about class, about race, and about gender—as well as the nature of history itself. Fighting over the Founders plumbs our views of the past and the present, and illuminates our ideas of what United States means to its citizens in the new millennium.